Want the inside scoop on the importance of customer reviews and various strategies for leveraging the growth of your company’s digital reputation? Check out these tips to improve your business. Fun Fact: 90 percent of consumers read online reviews before visiting a business and 88 percent of consumers will trust online reviews just as much as personal recommendations. Wow! The more you know, right? It’s crazy to think we, as consumers, rely on complete strangers’ suggestions before making a purchasing decision. Now imagine being the company at the receiving end having to face the outcome of each review. —What’s crazier is realizing how much of an effect customer reviews have on both ends, and leveraging it to grow your brand online. A good business owner is determined to do whatever it takes to grow their company’s brand. In today’s business world, one of the most effective ways to grow your brand is by leveraging your online reviews and testimonials. Whether it be high praises or constructive criticism, you can use this information to showcase why people love you or to make improvements and provide a better customer experience in the future. You must realize that a great deal of your brand’s reputation is based on customer reviews. But why? 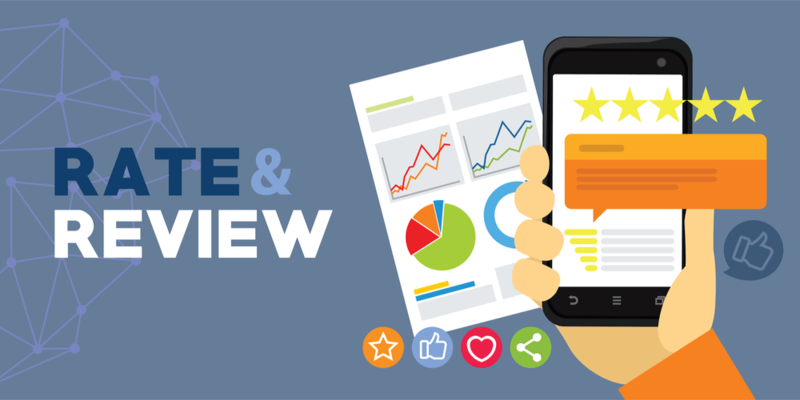 Why do customer reviews make such a huge impact on a company’s brand? Because customer reviews are relatable, personal, and public for anyone to see. They add credibility to your company’s product or service and show your potential customers what they can expect from you. Essentially, reviews relating to a specific concern paired with a positive outcome are what viewers want to see before becoming your client. It’s important to build rapport with your customers because clear communication and understanding helps create a better client experience, ensuring a positive review at the end of the transaction. Respond to customers to show that you care for them and took time out of your day to connect with them. Acknowledge customer reviews with respect, especially negative ones. Despite the poor review, your response can highlight your brand in a positive light, showing that you care and are always trying to improve your business. Remain active when it comes to customers’ questions and concerns because most, if not all, like to be seen, heard, and understood. Engage with your customers and respond to reviews to add a personal voice and show your company is not just robots. Make sure to claim and verify your company on business-review websites, i.e. Yelp, TripAdvisor, Google, Facebook, etc. Incorporate customer reviews on your website and landing page to add credibility to your company. Create a separate domain name for customer reviews and testimonials to create an easier way for people to find your reviews. Plus this increases your online search rankings! Add quality testimonials on your site to set you apart from the competition–you may not be delivering unique services, but you want to show people that you are delivering unique results! Share a hard copy of past-client customer testimonials (i.e. case studies, scrapbooks, hand-written notes, etc.) when meeting with a potential client. Share testimonials and reviews that relate to your potential customer’s specific challenges and needs so they can see exactly how you helped someone in a similar situation. Partner with digital influencers to help your company’s brand flourish. Use your loyal customers as brand ambassadors for your company because they know your service/product the best and can add an authentic touch. Collaborate with social media mavens (e.g. bloggers; Instagrammers, Twitter users, YouTubers, etc.) to review, promote, and spread your product/service, resulting in welcoming a variety of new clients to your company. See if a past client is willing to post a video testimonial. Video content is even more compelling than written reviews because it adds an authentic, personal touch and people see a lot more than they read! Promote videos of testimonials, behind-the-scene projects, reviews, etc. across your social media platforms (e.g. Facebook Live, Instagram Live, Snapchat, company website, emails, etc.) to create fun and engaging ways to connect with your audience. If you enjoyed these simple tips and want to gain more wisdom about entrepreneurs and business, feel free to check out our other blogs on our site!